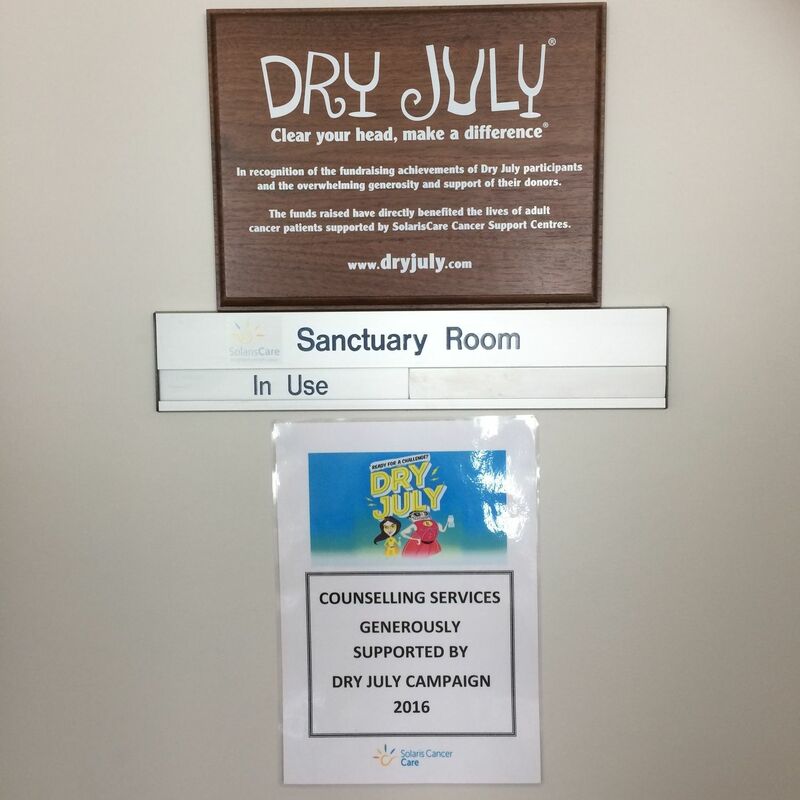 Sign up to Dry July Australia 2018 and raise funds for Solaris Cancer Care. Professor David Joske started Solaris Cancer Care for two reasons: firstly, to give his patients a team around them to help with the journey and provide access to safe and supervised complementary therapies; and secondly, because he sometimes saw people come out after cancer with a much richer appreciation of life. Good can come out of bad, and Professor Joske wanted to give his patients the best chance of this happening. In 2019, Solaris Cancer Care will celebrate 19 years of making a difference to West Australians living with cancer. As a largely volunteer based organisation, the delivery of our cancer support services relies heavily on the generosity of the community and our Dry July’ers. One of Australia’s leaders in integrative cancer care, Solaris offers a helping hand to guide people towards the quality of life that Professor Joske envisioned all those years ago. The grief, the confusion, the fear, the bargaining - are what everyone who works in the cancer space, witnesses daily. Cancer doesn’t make an appointment. It can’t be cancelled due to lack of interest or deferred because of a cold or fatigue but Solaris can ease the burden of a cancer diagnosis by providing access to approved resources and services to assist with the emotional and physical effects of cancer diagnosis, treatment, recovery, and palliative care. Patients who attend Solaris Cancer Care welcome the opportunity to take up different services such as reflexology and mindfulness-based stress reduction, massage and music therapy. They find a place where people understand what they are going through, and where some nice things can happen amidst the trauma of their illness and where they can get a lift that doesn’t seem possible anywhere else. In fact, we know from work done in Solaris and elsewhere that massage reduces anxiety, and that music therapy improves depression scores in cancer patients. Our five centres across the state, provide a diverse range of support, information, education and exercise programs as well as access to counselling and safe complementary integrated therapies. All services are given free of charge or at nominal cost. Our vision is to bring humanity to healthcare through care, compassion and the community. We believe that treating the whole person and not just the disease promotes overall wellbeing and improved quality of life across all stages of cancer. Founded on a strong medical base and consistently refined through our commitment to sound research and education, we look to improve access to support services for metropolitan, regional and rural patients alike. 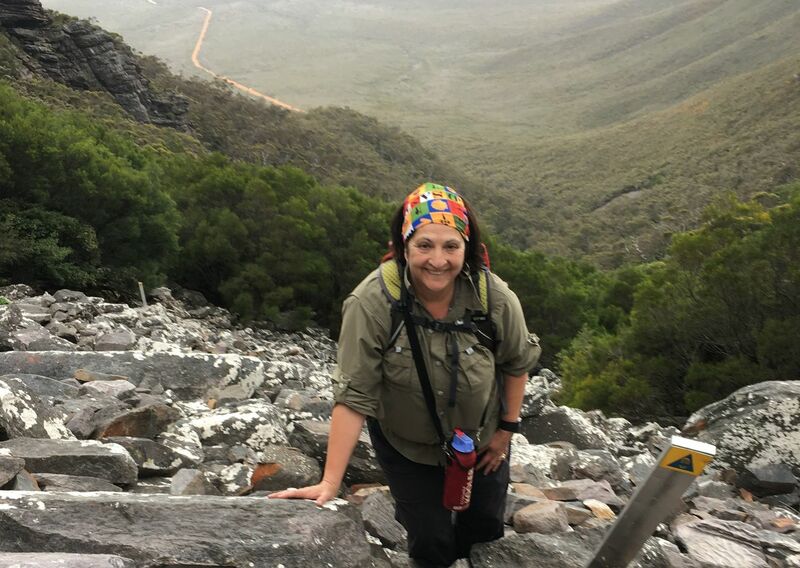 All monies raised through Dry July directly benefit the community, providing emotional and physical support to all cancer patients and their families. On behalf of our patients, their families, our volunteers and staff, we invite you to support Solaris Cancer Care this Dry July and in turn, help us to support, empower and nurture the West Australian Cancer Community. We're proud to announce that SolarisCare Cancer Support Centres has received a grant from the Dry July Foundation 2018 Grant Program. 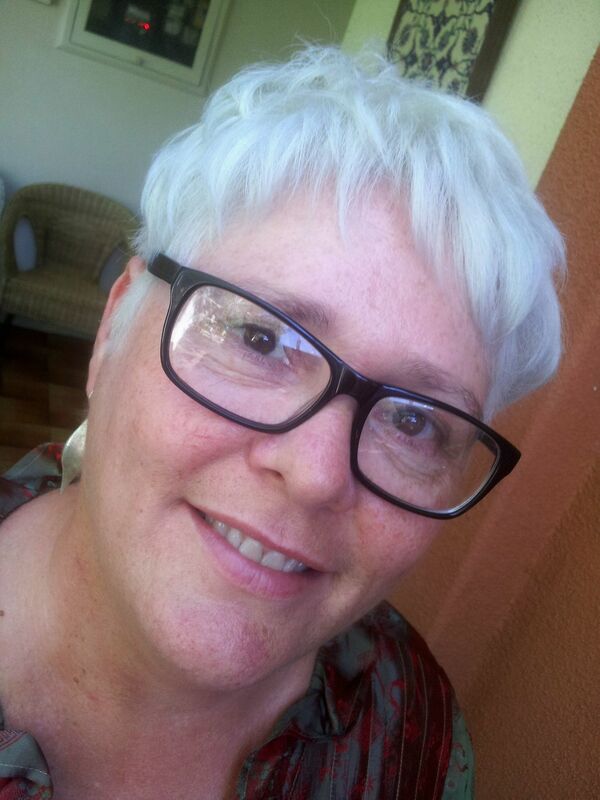 My cancer journey started in late 2013 when, aged 48, I was diagnosed with Stage III breast cancer. And although the ultimate destination of my cancer train is still unknown, the first stop on the line was definitely hell. 2014 was a blur of invasive treatments. A double mastectomy was quickly followed by chemo and radiotherapy, after which I assumed I would start to get my life back. 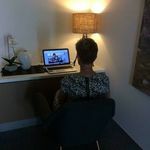 Instead the treatment caused a series of traumatic complications and side-effects that I was not prepared for and that still make daily life challenging, both mentally and physically, more than four years on. After I was shunted through the various standard treatments, then fell off the end of the hospital conveyor belt, I concluded that conventional cancer medicine is quite good at saving lives, but even better at destroying our quality of life. Cancer takes us to another country and many of us need help to find our way back to the world everyone else seems to be living in. Solaris Cancer Care is the bridge that spans both worlds for me. The staff and volunteers give us the compassion and real healing that is so often lacking in the hospital system, where clinicians often downplay the damage the treatments cause – because, hey, you’re alive after all! I’m still a high-risk patient and one of the hardest things to deal with in the longer term is living with uncertainty about the future. The fear of recurrence is always there and we have to find a way to live with it. This kind of experience can make it hard to relate to friends and family in the same old ways, and not everyone lasts the distance. Thankfully, I have met many brave and beautiful souls through Solaris and made wonderful new friendships with people who understand how cancer has changed me because they are going through a version of the same thing. Through the complementary therapies, support groups, courses, workshops and guest speaker events I have been lucky enough to access at Solaris, I have come to know many cancer patients. And only after hearing their stories have I realised that my experience is not so unusual. This cancer race is a marathon not a sprint. Solaris Cancer Care is so much more than just the staggering range of support services they provide. It is a healing community of staff, volunteers, patients and their loved ones who, together, pick up the pieces and help us glue ourselves back together. I have no doubt that Solaris has saved my mental health, and possibly by extension, my life. I am a stronger person today than I was before cancer because of Solaris. I am proud to be their Dry July Ambassador for 2018, and encourage everyone to dig deep so they can continue to support the thousands of West Australians whose lives they enrich every year. I was introduced to Solaris Cancer Care when undergoing my Radiotherapy treatment at Sir Charles Gardiner Hospital in 2005. At the time, I was so grateful for Solaris, as I had left my life and husband in Albany to face my treatments alone. When you feel isolated, scared, alone and unsure of your future it is invaluable to know that, you have people who are full of understanding and compassion by your side, this gives you hope and a feeling of being wanted and loved. These volunteers are ‘selfless’ giving of their time to help with the emotional and physical effects of cancer. Feeling very blessed to have survived and thrived, I knew I had to take action to improve my life and to get me to where I am today. My breast cancer diagnosis showed me how much of life I took for granted. For me this alarm bell woke me up. In 2006 after my diagnosis and treatment, I embarked on a Personal Development crusade to improve my body, mind, and my spirit. As a benefit of this journey, I learnt to understand my body and my mind realising that with the right tools we can support ourselves. One of the ways I have discovered was through travel. This is a huge passion of mine (along with food). Now I truly understand the importance of doing what I love, which to me is travelling and helping others to have life changing travel experiences. Because of this life changing experience, John, myself, and the team at Travel with Purpose are working together to help local charities in our community, such as Solaris Cancer Care. - improvements in insomnia, appetite and energy levels. Group sessions also provide a sense of community in a safe and nurturing environment. - The engagement of a counsellor/s to deliver one on one sessions and engaging guest speakers to present to patients on a variety of relevant educational subjects including nutrition, exercise during cancer treatment and the like. - Provision of laptops with internet access and head phones to allow patients to maintain real time contact with their family and friends at home. Many patients travel from regional and remote areas of Western Australia and being able to speak to family 'face to face' can make a huge difference to their emotional wellbeing.